What do you get when you take the incredible Australian Labradoodle and minify it? 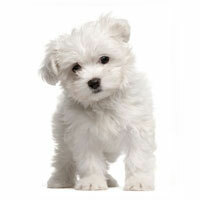 Same loyalty, same fun-loving personality, same hypoallergenic coat, same bundle of energy…just smaller. 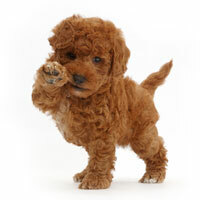 Mini Labradoodles are one of the top choices for families big and small, and their popularity seems to know no limits. Read on to find out more about these amazing dogs! Each parent breed was carefully selected for unique qualities that make multigenerational mini Australian Labradoodles stand head and shoulders above the rest (well, maybe not that tall, seeing how they’re pretty small). For example, your new dog’s Poodle genes contribute to its hypoallergenic coat, and its Retriever genes contribute to its winning personality. The modern mini Labradoodle you see before you is the result of decades of selective breeding meant to emphasize the best qualities of its parent breeds and reduce or eliminate any negative traits. Our Doodles are multigenerational, meaning they’re the offspring of at least 3 successive generations of Australian Labradoodle mixes. Multigenerational breeding is the only way to maximize your Doodles’ positive traits while minimizing their negative quirks. 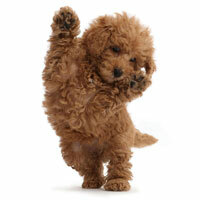 How big are mini Labradoodles? 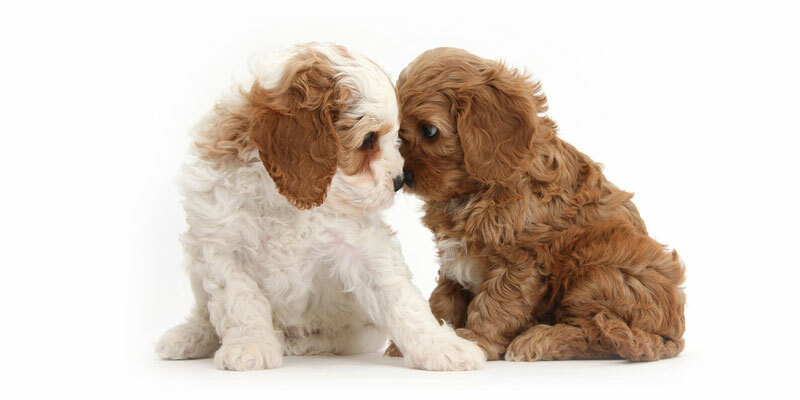 Mini Labradoodles can’t quite fit in your pocket or purse, but they are pretty darn small—and that’s thanks to the smaller bone structure brought in by its Spaniel and miniature Poodle genes. For those of you worried about picking a pup with “Little Dog Syndrome” or a Napoleon Complex, don’t worry—ALL sizes of Labradoodles are bred to meet the same standards in temperament. From your mini up to the biggest standard Doodle, the only difference you should notice is the size. 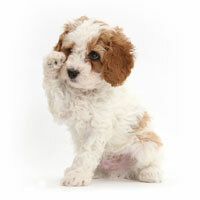 In general, miniature Labradoodles tend to measure about 14-17 inches, with adults weighing 15-30 pounds. Should I buy a mini Labradoodle? To make this question easier, just ask yourself how much space you can provide your new pup and how often you can give him or her exercise. Labradoodles are very energetic dogs—positive energy when they have an outlet such as long walks or room to roam, but negative energy if they’re left in a cramped box for hours and hours on end. The smaller your house and less active you are, the smaller your Labradoodle should be. 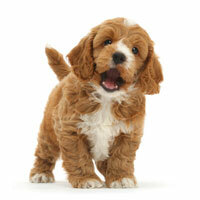 Mini Labradoodles are great for people living in small houses or apartments. And while smaller Australian Labradoodles like the mini need less physical exertion to stay happy, that doesn’t mean they can’t tag along with you on your outdoor adventures. These dogs LOVE to run and play. Of course, some people just like smaller dogs! 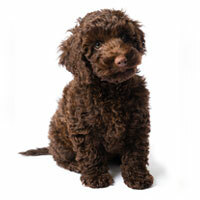 If you’re looking for a lightweight version of our standard Australian Labradoodle, our minis won’t let you down. From tiny to big, your perfect dog is within reach. 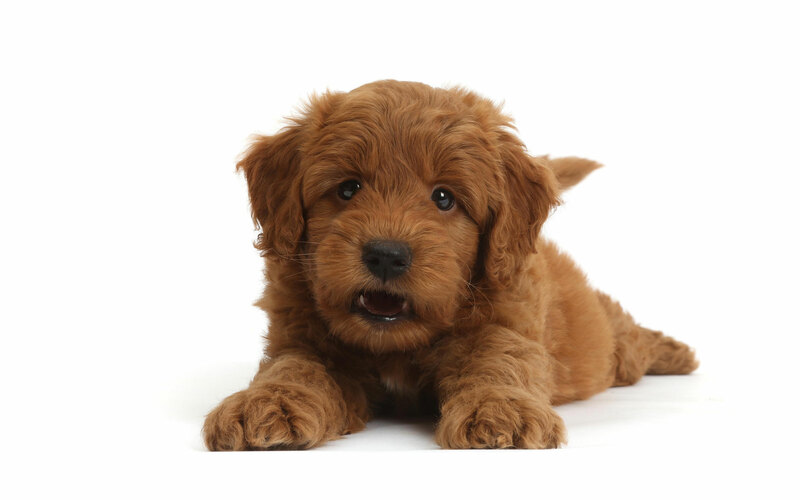 If you need help figuring out the perfect dog for you lifestyle, get in touch with us ASAP—we have mini Labradoodle puppies available now!